Coast plays the music you love - hits from the 70s and 80s. At home, at work or just relaxing, Coast is the ultimate lifestyle choice for men and women who love good music and enjoy today. Coast listeners put their family and friends first and thrive on providing a safe and happy home for all to enjoy. They are actively involved in their local community but love to escape from time to time and reward themselves with a getaway. Coast listeners are financially comfortable but very practical and believe in working hard but remaining humble. 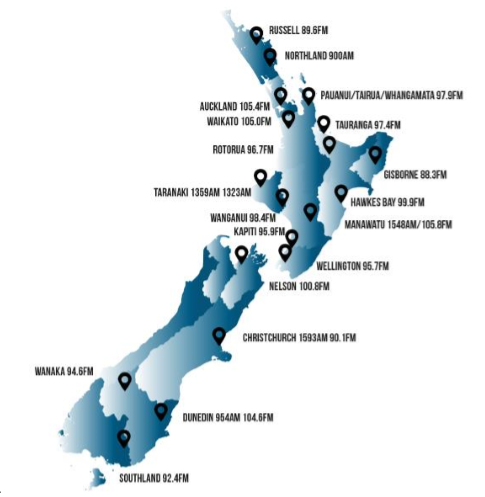 SOURCE: GfK Radio Ratings Survey, Commercial Radio Stations, Total New Zealand Survey 4 (NB Waikato Survey 3) 2018, All 10+, Mon-Sun 12mn-12mn, Cumulative Audience, unless otherwise stated.